The 92 series of semi-automatic pistols operates on a short recoil, delayed blowback system, which yields faster cycle times, exceptional accuracy and greater reliability. Double/single action provides a very safe and time proven design and the open top slide virtually eliminates jamming and stove piping, allowing one cartridge at a time to be loadedshould the magazine be lost or damaged. A reversible magazine release is positioned next to the trigger guard for either right or left-handed shooters, allowing rapid reloading. Chrome-lined barrels provide extreme corrosion resistance, as well as ease of cleaning. Barrels also feature a deeply recessed combat muzzle crown to protect the rifling. 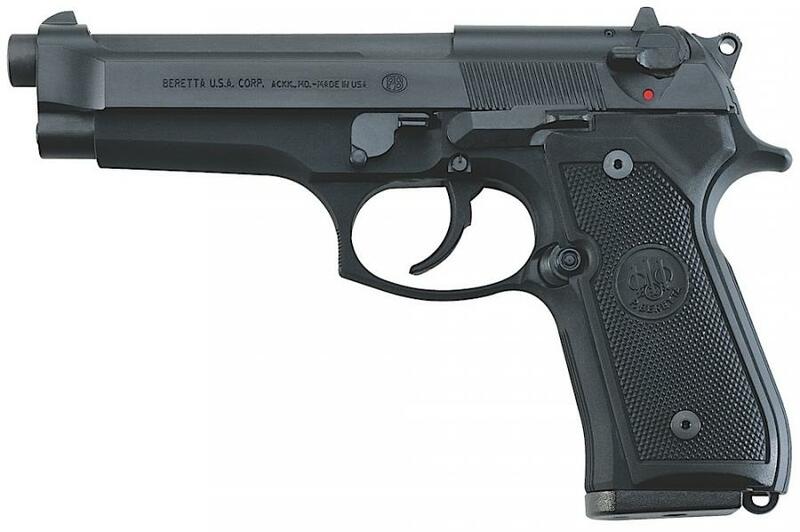 The most tested and trusted personal defense weapon in history, the 92FS, designated M9 by the U.S. Military, meets or exceeds all U.S. Military testing guidelines. These models were made in Italy.